One of the most important factors in contracting is having the right contractor accountant in place for your LTD company. All contractor’s needs differ, so it’s vital you ensure that your contractor accountant meets your specific requirements and provides a service tailored around you. 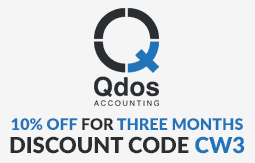 We work closely with Qdos Accounting, a specialist insurance, accounting and IR35 provider that has been supporting contractors for over a decade. Qdos’ transparent approach to accounting, as well as unrivalled expertise makes them one of the most popular accountants for contractors on the market, and we at Contractor Weekly want to ensure you receive a quality service at a competitive cost. Using Contractor Weekly’s exclusive discount code CW3, you can have access to their complete accounting package with an initial three month discount of 10% off. The Qdos Accounting service leaves no stone unturned, and for a fixed fee gives contractors everything they require from their accountants without any hidden costs or surprises throughout the year. Everything you need from a contractor accountant in one package. We will register you for ALL UK Taxes. If you would like to speak to a Qdos Advisor then please feel free to call them on 0116 243 7868 or email them on enquiries@qdosaccounting.com. 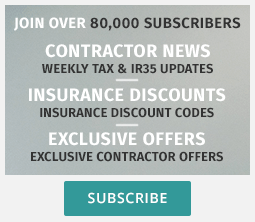 Be sure to quote CW3 for that unique Contractor Weekly discount! If you would like to arrange a consultation with one of their advisors, then please feel free to submit an enquiry via our unique contact form and one of their representatives will contact you directly. How Important is IR35 and Tax Planning to Contractor Accountants?